This is a copy of an article published in the Encyclopedia of Social Problems, edited by Vincent N. Parrillo, pp. 931-933. Sage Publications, 2008. Please cite as: Deflem, Mathieu, and Lisa Dilks. 2008. “Terrorism, Domestic Spying.” Pp. 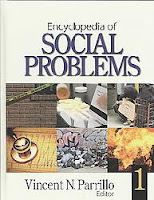 931-933 in Encyclopedia of Social Problems, edited by Vincent N. Parrillo. Thousand Oaks, CA: Sage Publications. Domestic spying is a cultural construct that is used, especially among civil libertarians and the media, to refer to internally directed surveillance programs initiated by a variety of formal agencies of social control and intelligence. In the current U.S. context, domestic spying primarily refers to the debate that erupted following several revelations about surveillance programs set up, without court approval or congressional oversight, to aid in the fight against terrorism. Although the debate on domestic spying is recent, internal surveillance programs have considerable historical antecedents. U.S. domestic surveillance programs date back to the 1930s, when President Franklin D. Roosevelt secretly ordered the Bureau of Investigation (renamed Federal Bureau of Investigation in 1935) to investigate the American Nazi movement. On September 6, 1939, three days after the British and French declaration of war on Nazi Germany, Roosevelt formally placed the FBI in charge of all surveillance activities relating to espionage, sabotage, subversive activities, and violations of U.S. neutrality laws. During World War II, the FBI was responsible for all domestic intelligence work and foreign intelligence in South America, while the Office of Strategic Services was the leading intelligence agency for all other regions. Domestic surveillance in the United States remained primarily in the hands of the FBI after the war. Most distinct amongst these efforts was the Bureau’s COINTELPRO or counterintelligence programs from the 1950s onwards that acted against Communist groups and a wide range of other organizations, including leftist groups, civil rights organizations, and the Ku Klux Klan. In the early 1970s, COINTELPRO was formally abolished, leading to passage of the Federal Intelligence Surveillance Act (FISA) in 1978, which permits electronic surveillance within the United States on foreign agents and international terrorists on the condition that a judge in a specialized FISA court issues a warrant. Presently, several partly interacting and overlapping surveillance agencies handle domestic intelligence duties, including the FBI, the National Security Agency (NSA), the Central Intelligence Agency (CIA), the Office of the Director of National Intelligence, and various federal and local law enforcement agencies. In the current context of counter-terrorism, domestic spying debates erupted following several revelations reported in the popular media about domestic surveillance programs, conducted by the National Security Agency, that were secretly authorized by the President following the terrorist attacks of September 11. In addition to these NSA surveillance programs, debate also raged over the expanded opportunities afforded to the U.S. intelligence and law enforcement community under provisions of the PATRIOT Act, a federal bill passed in 2001, which broadened police powers against terrorism. In November 2005, the Washington Post disclosed a rapidly growing practice of domestic spying under the provisions of by the PATRIOT Act by the FBI seeking information on the basis of so-called ‘national security letters.’ Such letters enable the FBI to secretly review the private telephone and financial records of suspected foreign agents. However, the letters program also included U.S. citizens and residents who were not suspected of any wrongdoing. Most important in the recent debate on domestic spying, the New York Times on December 16, 2005 reported on a secret domestic surveillance program conducted by the NSA. This so-called Terrorist Surveillance Program, initiated in early 2002 on the secret authorization of President Bush, allows the NSA to intercept, without a court-approved warrant, communications that involve one overseas and one domestic party or at least one party suspected of holding ties to al-Qaeda or an affiliated terrorist group. The response to this revelation was intense. In January 2006, the American Civil Liberties Union (ACLU) and the Center for Constitutional Rights filed lawsuits, arguing that the NSA eavesdropping program violated Americans’ civil rights. That same month, the Electronic Frontier Foundation filed a class-action lawsuit against the telephone company AT&T, accusing it of providing the NSA with unfettered access to customer phone calls and internet communications in violation of the Fourth Amendment, as well as federal wiretap and communication laws. On a political level, two Senate Judiciary hearings held in February 2006 discussed the status of the NSA program. Another revelation about contemporary domestic surveillance programs came when the newspaper USA Today reported in May 2006 that the NSA had kept logs of billions of domestic calls, a program that began, without court approval, soon after 9/11. The debate on domestic spying contains important considerations of both a legal and normative nature. From the legal viewpoint, the Bush administration insisted that it had the power to authorize the wiretapping program under both the U.S. Constitution and the congressional resolution of the Authorization of Military Force that authorized use of wartime powers against those responsible for the 9/11 terrorist attacks. The constitutional powers of the U.S. President as commander-in-chief would allow President Bush to pursue, without explicit congressional permission, any enemy operating inside the U.S. Additionally, the wartime powers of the President would allow him to bypass the courts to spy on Americans without warrants, a Presidential power that not even Congress can restrict, as the President not only has the authority but also the duty to protect the nation. It is further argued that the Congressional resolution on the Authorization of Military Force that passed shortly after 9/11 also granted the President the right to use all ‘necessary and appropriate force,’ thereby effectively suspending the FISA requirements which are considered outdated and inappropriate in view of the contemporary war on terror. When President Bush in a televised address admitted that he had authorized domestic, warrant-less monitoring of calls involving an overseas party, he defended his actions as crucial to national security. Opponents argue that the President’s expansion of executive power violates constitutionally framed mandates for judicial and congressional oversight. Congress and the courts have a constitutional right and obligation to provide a check against extra-legal activities in the executive branch. The uncovered domestic spying programs, they claim, violate Fourth-Amendment protections against illegal search and seizure. The Supreme Court has likewise held that most surveillance by government agencies must be based on a judicial finding of probable cause of criminal wrongdoing. Other arguments against domestic spying invoke concerns over two specific federal acts. First, critics say the program violates provisions of the 1978 FISA Act which requires warrants. The PATRIOT Act only allows for the collection of data for up to 72 hours before a warrant must be requested from the courts, and the Authorization of Military Force resolution does not give the President the power to bypass this law. Second, because only eight members of the House and Senate were briefed about relevant developments, the NSA program violates the National Security Act of 1947 which requires that intelligence oversight committees of Congress be kept informed of U.S. intelligence activities. Absent such congressional approval, prosecutions of captured terrorists may be jeopardized by defendants’ claims that the evidence against them was collected illegally. In August 2006, a U.S. District Court ruled the NSA surveillance program to be unconstitutional. At this writing, an appeal is still pending. Underlying the legal debate on domestic spying are conflicting positions about its normativity. On the one hand, proponents suggest that special surveillance programs are necessary because of the severity and nature of the current terrorist threat and, moreover, that they have effectively prevented other terrorist attacks on U.S. soil. Under present-day circumstances, they claim, most Americans would agree that some of their rights have to be sacrificed in order to preserve national security. On the other hand, opponents argue measures implemented against terrorist groups should not curb civil rights, which are an essential part of a free and open society. Making exceptions on constitutional restrictions on presidential power in the area of counter-terrorism might lead to wrongly justify other special provisions, such as on the use of torture and the indefinite detention of citizens. Modernizing the rules of counter-terrorism surveillance in the United States could allow for the use of new means but only within proper limits that prevent innocent citizens from being investigated. Given the continued anxieties over the terrorist threat and the likewise persistent concerns over civil rights, the debate on domestic spying is likely to stay in the public consciousness for some time in the foreseeable future. Risen, James. 2006. State of War: The Secret History of the CIA and the Bush Administration. New York: The Free Press. See also: Deflem, Mathieu, Silva, Derek M.D., and Anna S. Rogers. 2018. "Domestic Spying: A Comparative-Historical Perspective." In The Cambridge Handbook of Social Problems.